Growing up playing chess as a kid, my father tried to teach me valuable lessons to better understand the dynamics between strategy and tactics. I have carried these lessons with me by continuing to play chess throughout my life in sports, business and personal life, and I am very thankful for these lessons early on in my life. There have been many times when I realized how important these lessons were, one example was playing competitive college tennis when one of my coaches asked me what was going on as I was losing an important match: I responded saying: “We need to come up with a new game plan to win this match!” He said: “You only change your game plan if you come up with a better one. Now focus on executing the original game plan better and you will win!” He was right! And he was right throughout his coaching career which is why he was recognized in tennis circles as one of the best tennis coaches in the world. Now at the end of 2013 we can reflect that we have indeed hit the tipping point for SAP customers who are deploying a Private Cloud for SAP solution. Clients are not asking us anymore IF it’s a good idea, they are asking us HOW we can help them to deploy their Private Cloud for SAP strategy. As a result, we have also built up a much better set of internal and external capabilities to help our SAP clients deploy a Private Cloud for SAP. 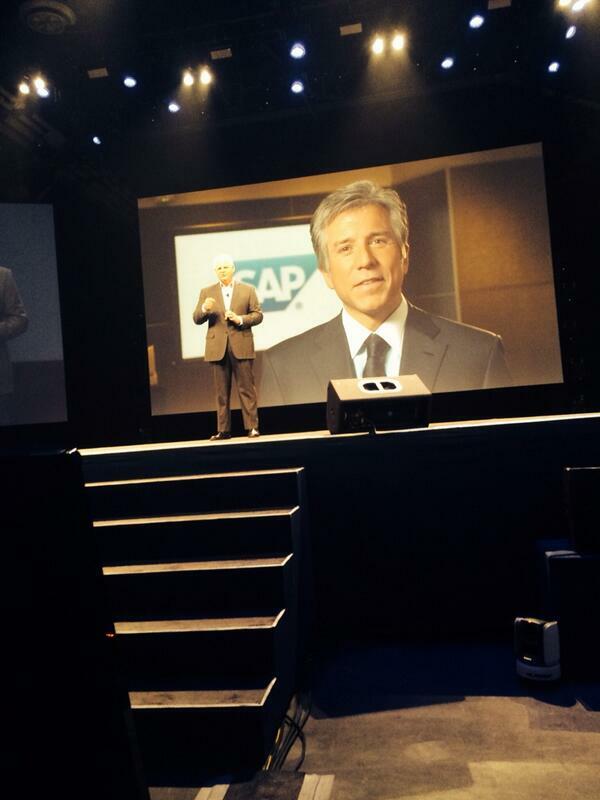 This has helped reduce the risk for many SAP customers. The external capabilities are delivered by a set of Alliances partners who have best of breed solutions, and have realized the value they can provide clients. These capabilities combined with our internal ones are expanding with our partners such as SAP and VMware to create leading solutions with best-of-breed technology. There are still some within our organizations who believe that doing the world’s best Private Cloud Infrastructure presentation makes clients want to start their SAP Infrastructure modernization efforts, however most have figured out, that while the SAP infrastructure discussion is important and will definitely take place, the focus must be more on HOW we can help our clients start and execute their journey’s (deployment, migration, automation, orchestration). We have been fortunate to have been awarded a ton of infrastructure deployments with our solutions portfolio in the SAP space in 2013…and we were also happy to see a large number of Fortune 100 companies running SAP proceeding down the path with a Private Cloud strategy partnering with us. One of them just sent us the orders right before Christmas which was a great start to the Christmas celebrations for us. 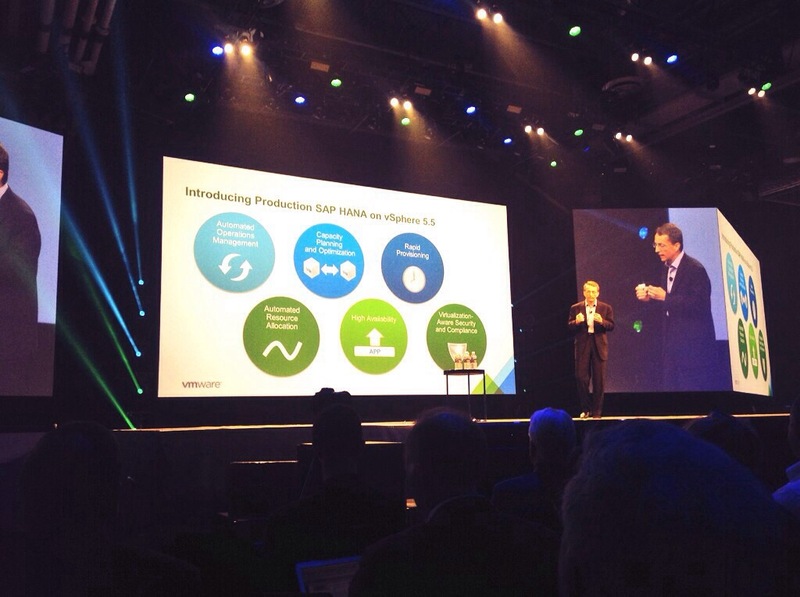 One key point we have learned is that Private Cloud for SAP is indeed a strategy. In my opinion, for those clients looking to only virtualize their SAP environment by procuring modernized x86 infrastructure are only looking at it from a tactical perspective. The clients who are able to transform their business by driving automation, improving agility and improving business and IT processes around their Private Cloud for SAP stack are the ones able to take full advantage of the true value a Private Cloud for SAP strategy brings to dramatically improve Agility, Time-to-Market, TCO. These are the clients that are able to change the paradigm of IT becoming more relevant within their organizations and over time shift the percentage of their budget being spent on keeping the lights on vs adding value by delivering new and improved functionality. We now feel strongly about starting with the 1st step to modernizing SAP infrastructure in order to become Agile and cost effective as an organization, which then puts you in a better place to take advantage of innovative technologies such as Big Data Solutions, Analytics, SAP HANA. As an example, if an SAP client has already deployed (or in the process of deploying) a Private Cloud for SAP solution strategy, then adopting SAP HANA leveraging the same infrastructure architectures as their traditional ERP through Tailored Data Center Integration and/or Virtual HANA becomes way more feasible. This approach then also becomes part of a larger strategy which can be justified through a business case. One example of this was EMC IT’s internal BPC on HANA deployment, which went live Nov 24th on 100% virtual (VMware) infrastructure (Note: this is not yet fully supported by SAP and VMware) only possible because EMC IT had executed a Private Cloud for SAP strategy a year earlier. 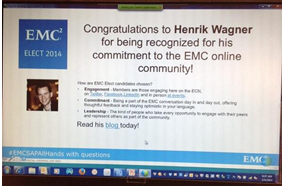 Check out his recent blog post on this topic and follow @putitonHANA to learn more on EMC’s internal HANA journey. Mike Harding and his team are truly doing some cool things. I would also like to give a year end shout out to our EMC friends in the Data Protection & Availability Division (DPAD, formerly known as BRS – Backup & Recovery Systems). For years we have been talking about the fact that our SAP clients are looking for better ways to come up with an overall Data Protection Strategy for their mission critical SAP environments. Backup & Recovery is important but is just a piece of how to protect an SAP environment. With EMC combing assets from BRS to include EMC RecoverPoint and VPLEX to form DPAD (in Nov 2013 http://reflectionsblog.emc.com/2013/11/better-together.html), our EMC DPAD friends are now looking at Data Protection the way our SAP clients look at it; What data and which technology should I use for High Availability within my data center, across my data centers, BC/DR, as well as Backup & Recovery; taking the conversation from a tactical one to an overall conversation about strategy. We are looking forward to hearing more from our DPAD team at SAP Week Atlanta Feb 11th-12th & SAP Week Santa Clara March 4th-6th in 2014. My son just turned two the other week, so for the moment there is mostly talk about trains at our home, his two most favorite words: “Choo Choo” & “All Aboard”…In coming years though, I will definitely teach my son to play Chess, and leverage those lessons about the differences between strategies and tactics I was taught by my own father!